Asphalt Paving Season Coming Soon! Spring is right around the corner and Asphalt Contractors Inc. is excited to welcome it! We are expanding our service area this season and looking forward to helping new clients achieve asphalt paving project success. We encourage you to contact us now for your free estimate and to get your project plans set and ready for motion! Winter is hard on asphalt pavement. You may notice new pot holes and cracks, fading and deterioration caused by this long, cold winter season. Not to mention the freeze, thaw cycle we’ve been having. It’s really been brutal on our pavement. Asphalt paving is a value adding investment that is worth it! Whether you have a commercial lot, residential driveway, or roadway in need of new asphalt – we do it all. Asphalt Contractors Inc. does our own asphalt manufacturing, eliminating a middle man and saving you money. Our contractors have years of experience and skill in getting the job done right the first time. Have an asphalt project that entails something not listed here? Try us – We likely can accommodate. With a service area extending throughout Southeastern Wisconsin including (but not limited to) Delevan, Elkhorn, Oak Creek, Franklin, Muskego and into Milwaukee and Waukesha counties, we’re willing to travel and accommodate the best we can! Contact Asphalt Contractors Inc. for your free asphalt paving estimate today. 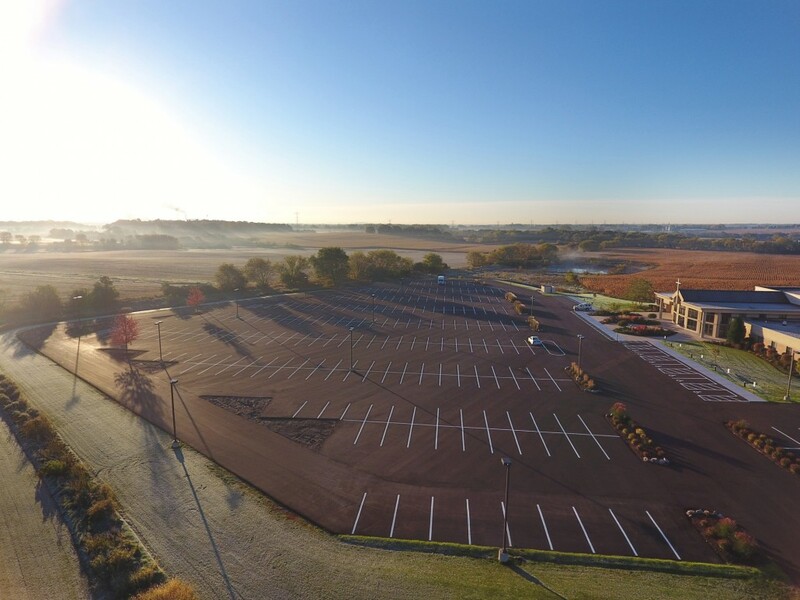 http://asphaltinc.com/wp-content/uploads/2016/10/DJI_0090.jpg 1500 2000 ACI http://asphaltinc.com/wp-content/uploads/2016/01/ACI_Logo-1.png ACI2017-01-15 04:34:302019-03-29 18:56:23Asphalt Paving Season Coming Soon!